It seems whenever a roll of paper towels is left out on the grill island it gets ruined by rain, attracts all kinds of questionable stains or the kids grab it and go crazy! Protect your paper towel investment with the Paper Towel Drawer from Twin Eagles and Family Leisure! Ensure that the next time the grill master goes to clean up those dribbles, splatters and spills of food the paper towel is ready to go! 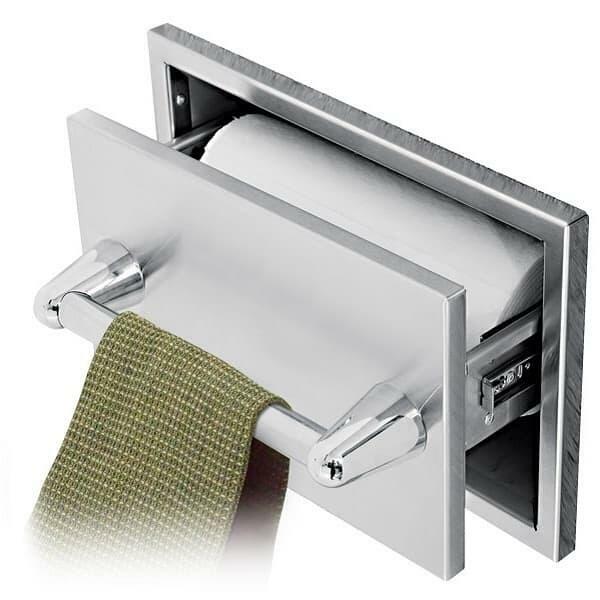 The drawer easily pulls out and offers a traditional cloth towel bar. All outdoor cooks use paper towels; make their job easier with the Paper Towel Drawer! And all Twin Eagles Grill Island Accessories come with free shipping nationwide from Family Leisure!